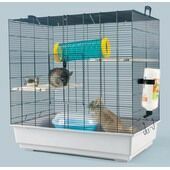 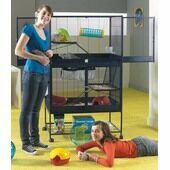 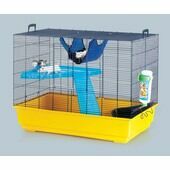 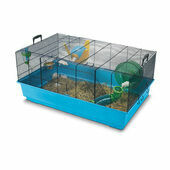 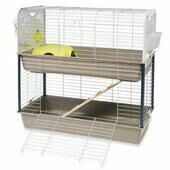 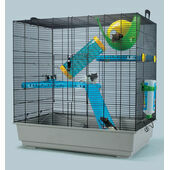 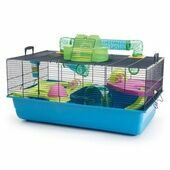 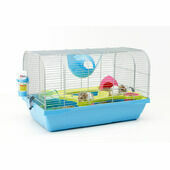 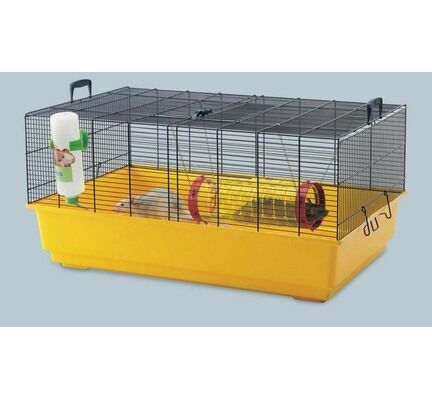 Perfect for mice, rats, hamsters, an gerbils, the Ruffy 2 Cage is a wonderful home for your pet. 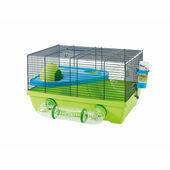 With an easy to clean design and plenty of space, your pet has all the room to burrow, dig, climb, and play. 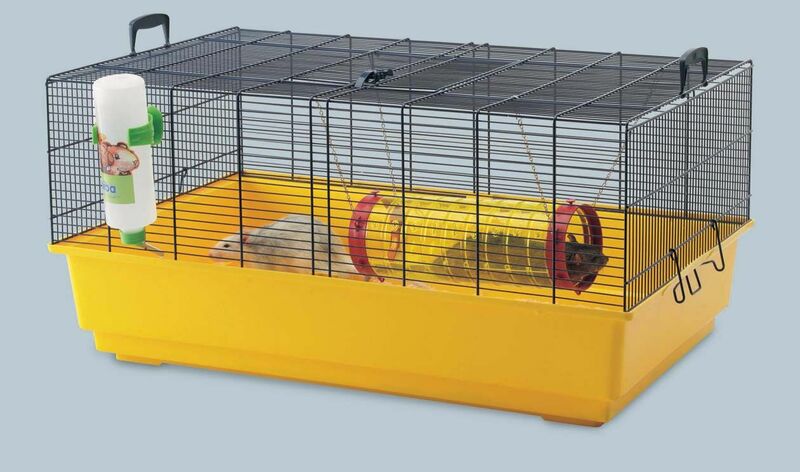 The cage comes with a tunnel and it is easy to attach other toys and accessories to the wire sides.